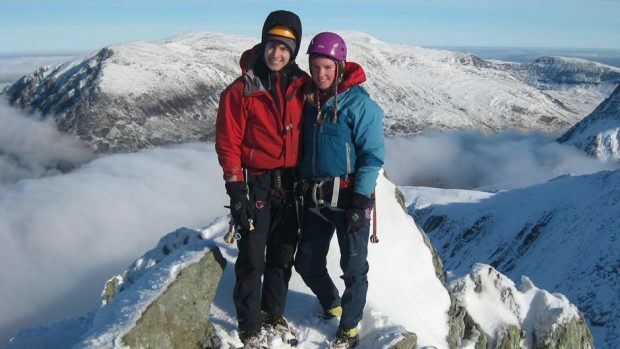 A concert in memory of two climbers,”missed with every breath”, will be held on top of a mountain hundreds of miles from Ben Nevis where they died on Valentine’s Day last year. Rachel Slater, 24, and Tim Newton, 27, were missing for five weeks before their bodies were found after a tireless search in dangerous conditions by members of the Lochaber Mountain Rescue Team. Now their friend’s father will play a grand piano, which will be carried up a mountain in the Lake District, to raise funds for the team who did so much to find the couple.It is hoped Robert Richmond’s virtuoso performance – which has been welcomed by Rachel’s parents – will raise cash to the tune of £5,000. The event will be held on Saturday, but organiser Steve Spencer is quick to point out that it is no joke. He said: “It really isn’t an April Fool wind-up. “We’ve called the event ‘An April Folly’, and although it sounds like a stunt, it was born out of tragedy. “Robert’s son, Michael is a climber and Rachel and Tim where two of his friends. “Initially he planned a sponsored walk to raise funds for the Lochaber Mountain Rescue Team in their memory, but Robert offered to put on an open-air recital instead, providing Michael could persuade some of the climbing community to help him carry the piano. Robert’s programme will begin at 2pm and will include Morricone’s Cinema Paradiso, Rachmaninoff’s Piano Concerto No 2 and Ravel’s Piano Concerto in G Major. He will be playing to film clips which will complement the music. Rachel, who lived near Bradford, and Tim, originally from Leicester, were experienced climbers, but were caught in a huge avalanche on Ben Nevis. Tim with every breath we take. The sadness and grief will never leave us for the rest of our lives. comfort and supportto both families throughout the agonising 38 day period.